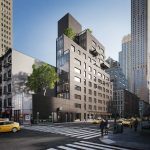 East River Partners, a New York City-based private equity investment and real estate development firm, is pleased to announce its newest residential offering — condominium development 415 East 6th Street. 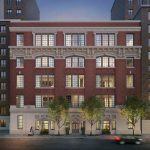 Located in the East Village Historic District between First Avenue and Avenue A, the five-story project — once fully operating as the Adas Yisroel Anshe Mezritch synagogue — is being converted to luxury condominiums, while the synagogue will occupy part of the ground level. The building is in close proximity to the city’s top restaurants, museums, shopping, transportation and more. Residences will be delivered by the end of this year. 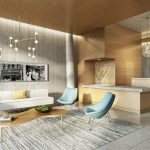 Millie Perry and Cornelia H. Van Amburg of Stribling Marketing Associates are the exclusive sales and marketing agents on the project. 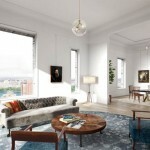 Designed by Kushner Studios to include a historic, c1910 neoclassical limestone façade, 415 East 6th Street is comprised of three unique residences. They include: two floor-through, 1,900-square-foot-plus apartments, each a two bedroom, two-and-a-half bathroom residence plus office with original stained glass windows; and a three bedroom, two-and-half-bathroom duplex penthouse comprised of over 2,500 square feet, including a north and south terrace that offer an additional 800 square feet combined. 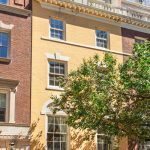 Prices range from $2.95 million to $4.395 million. 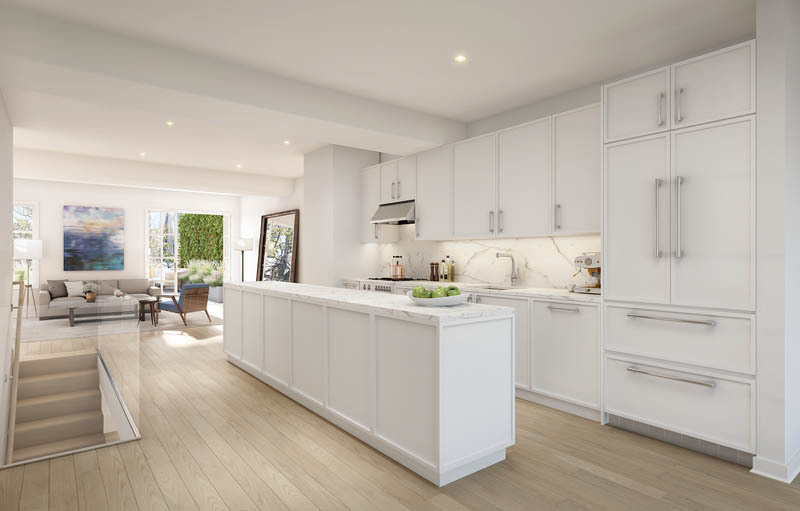 The kitchens at 415 East 6th Street include custom cabinetry, Bianco Bello marble countertop and backsplash, a Bosch dishwasher, Bertazzoni stainless steel gas range with oven and a Liebherr French Door refrigerator with two-drawer bottom freezer. 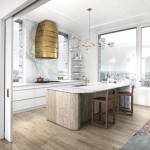 The penthouse kitchen includes a two-zone wine refrigerator. The master bathrooms, which feature Waterworks fixtures throughout, include herringbone pattern Cambric Persian White Classico honed marble tile floors, Bianco Bello polished marble tile walls, a custom double vanity with honed Bianco Bello marble countertop, a deep soaking tub and a separate glass-wall walk-in shower. 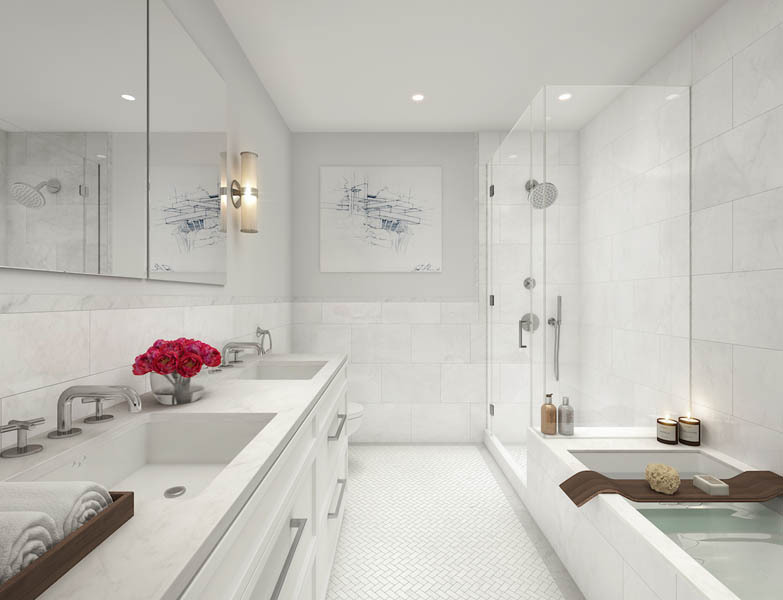 Secondary bathrooms offer white matte Subway tile walls, Nemo Strada Rain porcelain tile floors, a custom vanity with undermount sink and a deep soaking tub. They, too, have Waterworks fixtures throughout. 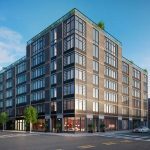 415 East 6th Street is located steps from vintage clothing stores, antique shops, luxury boutiques and top-rated restaurants in the heart of the East Village Historic District. The synagogue — originally founded by Polish immigrants in 1910 — moved out in 2014. For more information visit: www.415e6.com.